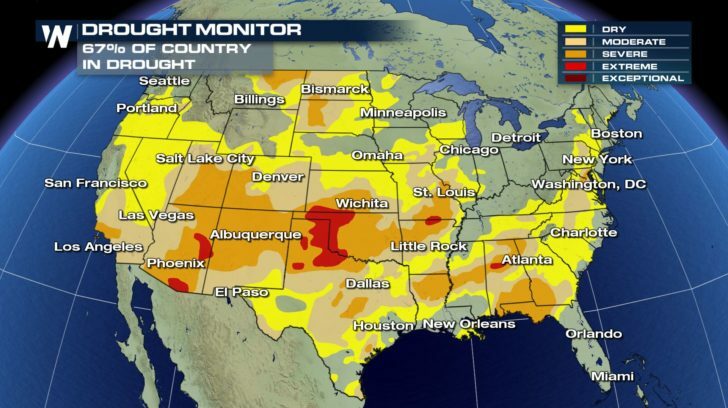 Over half of the country is dealing with some level of drought. 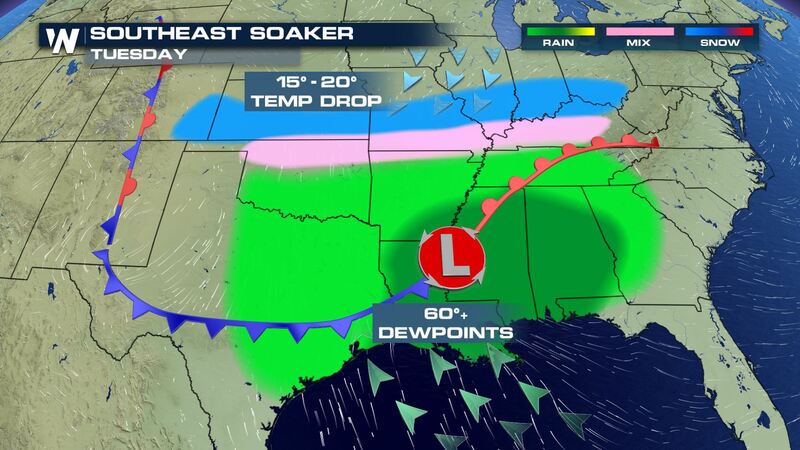 Some of the worst drought is occurring across the south and southeast. 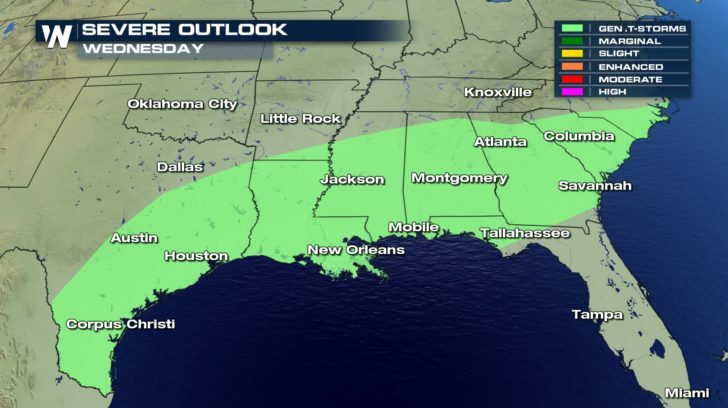 On the brighter side, some good, soaking rain is in the forecast for the southern tier of the United States. 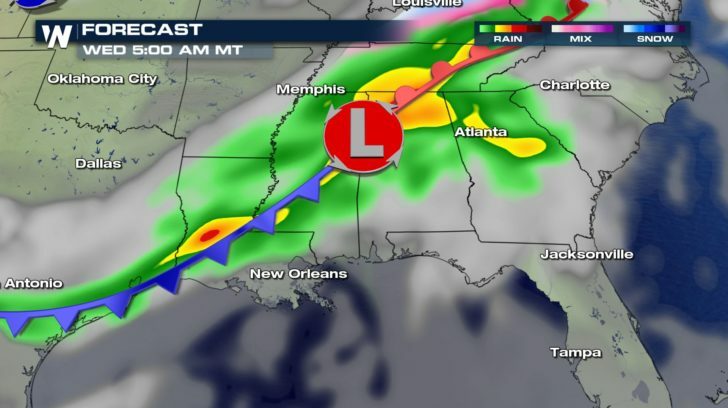 A developing low works across Texas into Louisiana Tuesday. Warm, humid air will be pumped in ahead of the storm adding to the available moisture while simultaneously strengthening the low. The timing for the heavies of the rain will be later Tuesday into Wednesday. This soaking rain though also comes with the risk for severe storms. The best chance for a severe storm to develop will be Tuesday afternoon into the evening. However, the chance for thunderstorms to still develop continues into Wednesday but across a larger area and the storm tracks east. 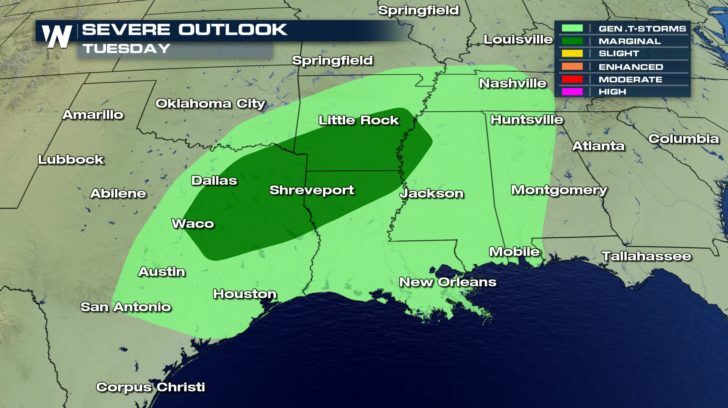 Even though severe storm will be possible, the storm is mostly good news. 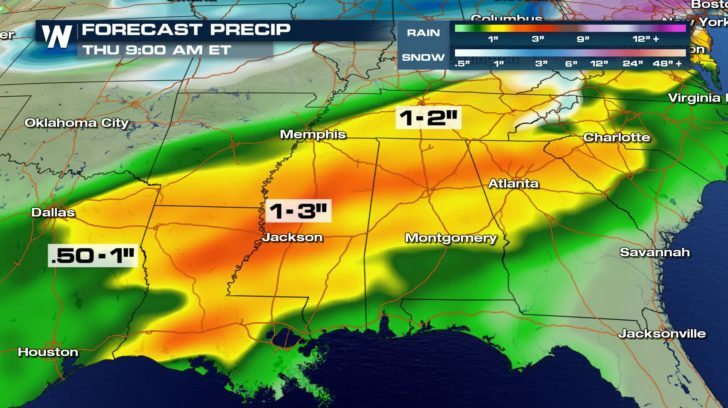 Much needed rain will be widespread across the region with rain totals adding up to an inch or even up to 3 inches.